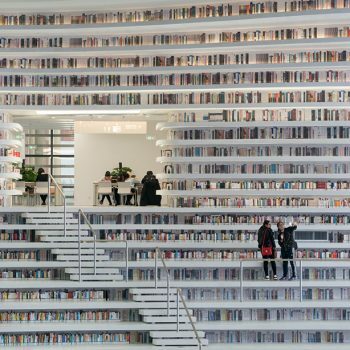 MVRDV has completed a library in Tianjin, China that forms part of a larger cultural masterplan developed by GMP Architekten. 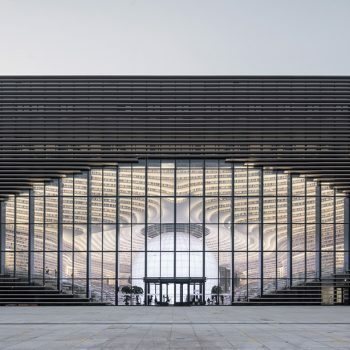 The building is dramatically shaped around a luminous spherical auditorium, which is referred to as ‘the eye’. 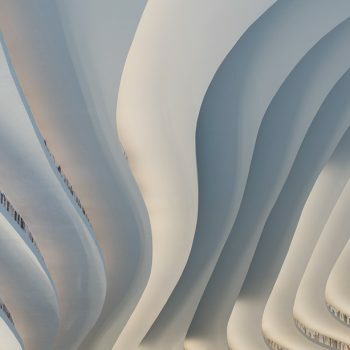 Surrounding this focal point, terraced bookshelves echo the form of the orb, resulting a topographical landscape of contours that wraps around the entirety of the interior. 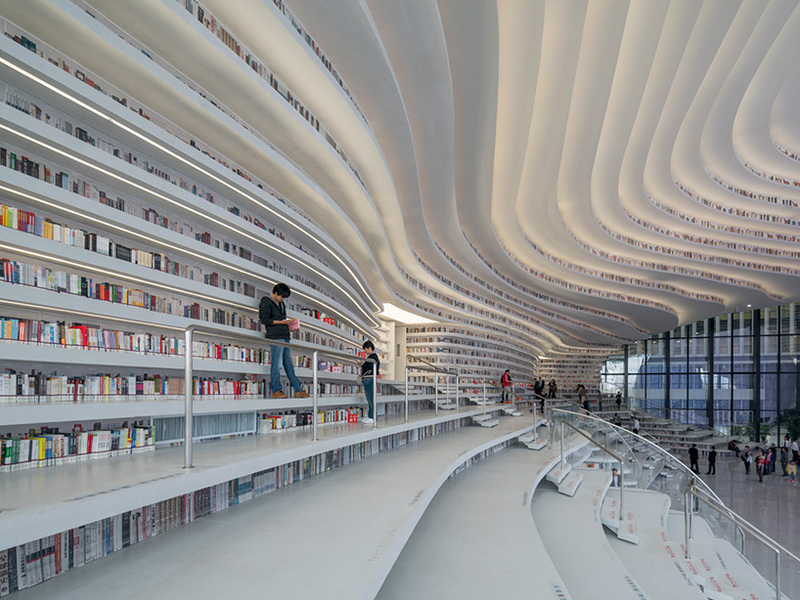 With each level doubling up as a louver, the stepped bookshelves are also represented externally. 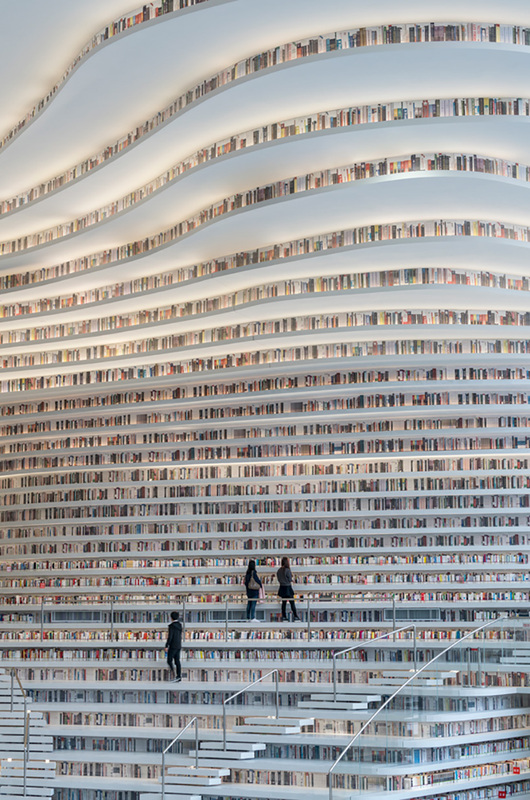 The building can accommodate a total of 1.2 million books. 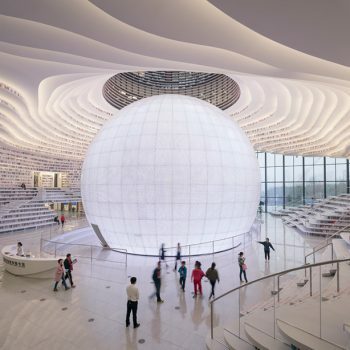 Designed in collaboration with the Tianjin Urban Planning and Design Institute (TUPDI), the ‘Tianjin Binhai Library’ not only acts as an educational resource, but also as a link between the adjacent park and the new cultural district. 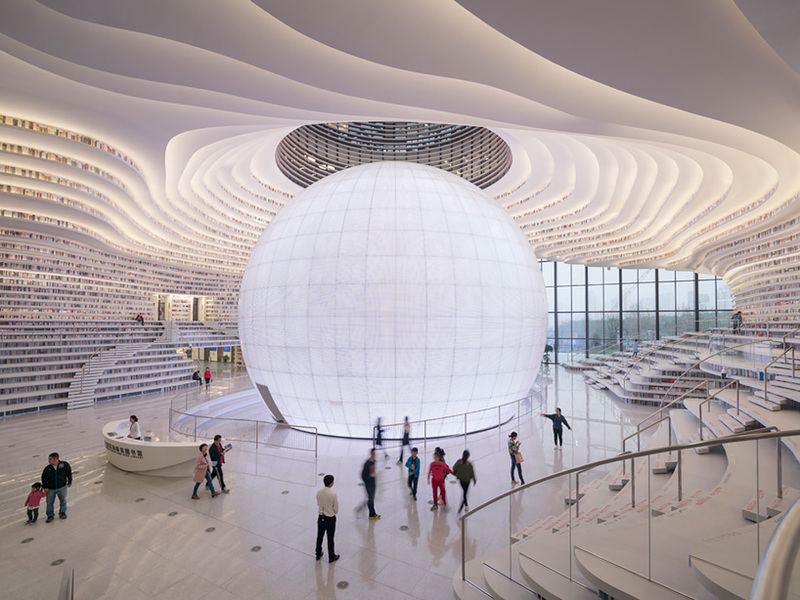 Bookshelves on either side of the sphere provide both stairs and seating, before continuing along the ceiling to create an illuminated topography. 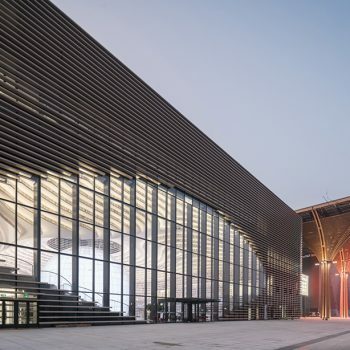 The building’s five storeys offer a range of facilities, with the ground floor housing easy-access reading areas in addition to the auditorium. Above, the first and second floors contain reading rooms and lounge areas, while the top two floors include offices and meeting, computer, and audio rooms. Meanwhile, a subterranean storey accommodates service spaces, book storage, and a large archive. 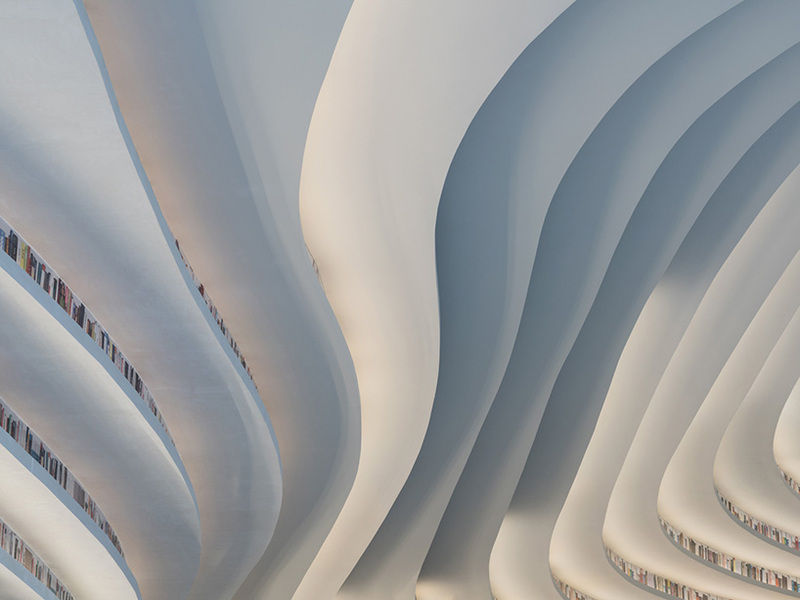 The library, which took just three years to complete, is part of GMP Architekten’s 120,000 square meter masterplan. 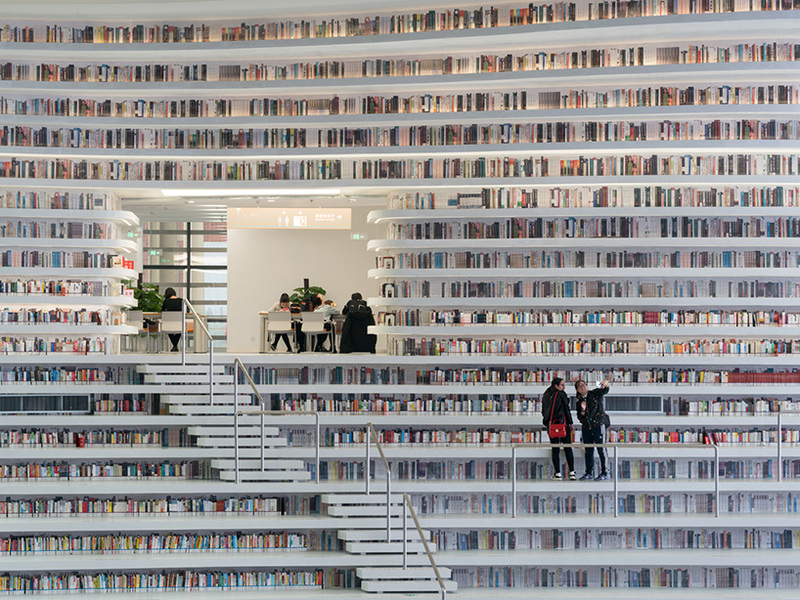 The tight construction schedule meant that, against MVRDV’s advice, access was not given to the upper bookshelves from rooms placed behind the atrium. 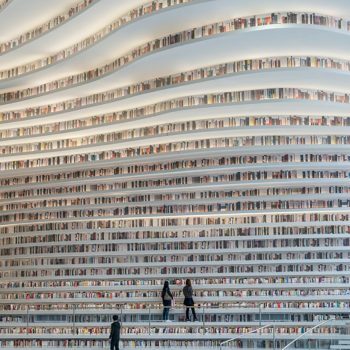 The design team says that the full vision for the library may be realised in future, but until then perforated aluminum plates have been printed to represent books on the upper shelves. 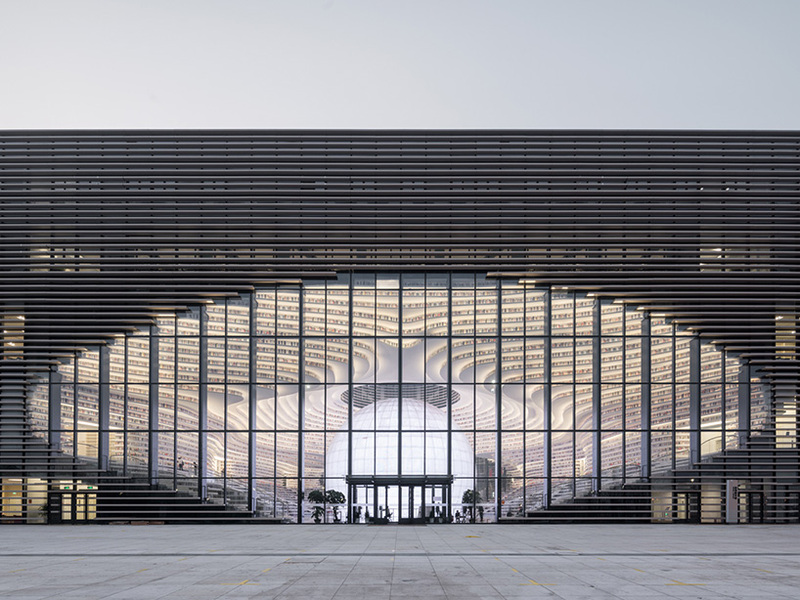 The building is dramatically shaped around a luminous spherical auditorium. 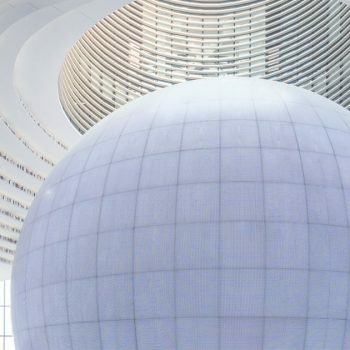 The orb has been dubbed ‘the eye’. 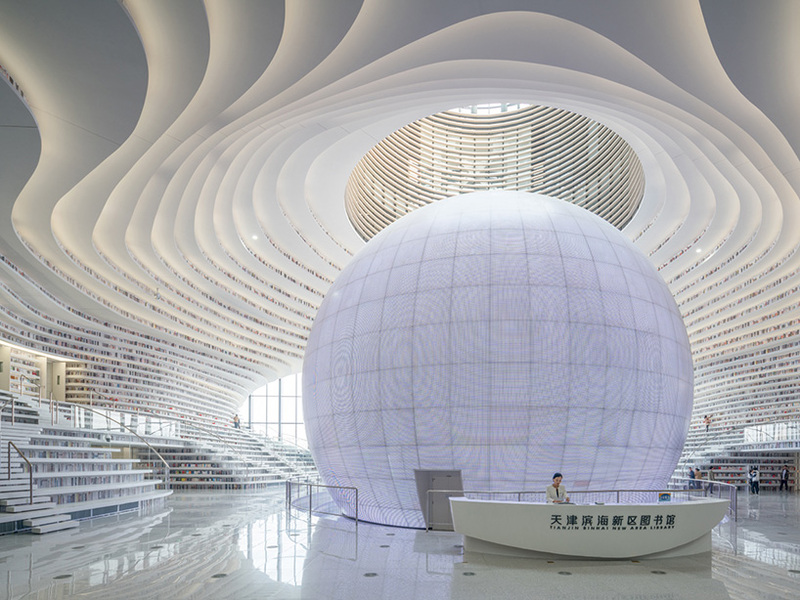 Terraced bookshelves echo the form of the sphere. 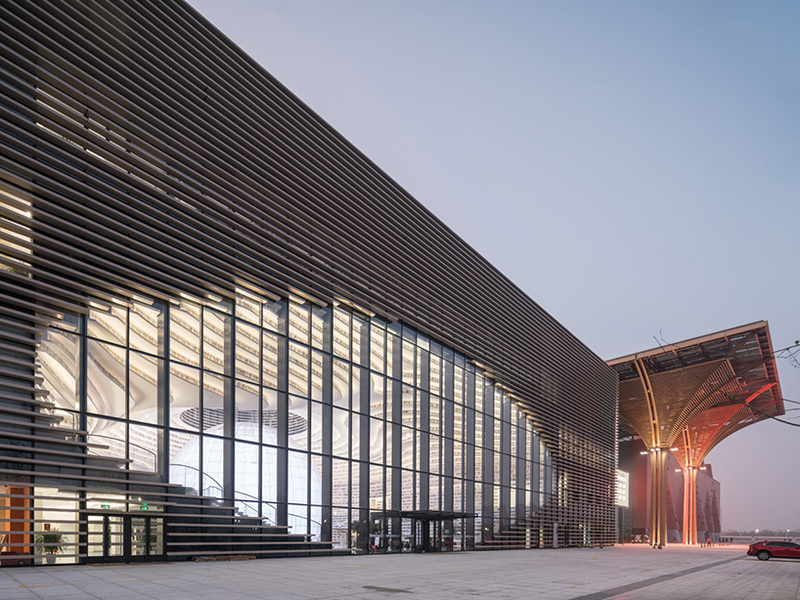 A topographical landscape of contours wraps around the entirety of the building. 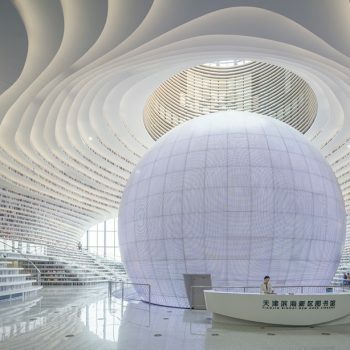 The building can accommodate a total of 1.2 million books. The entire project was completed in just three years. 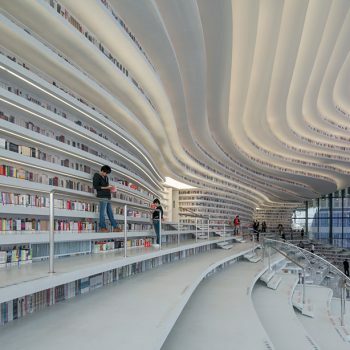 The stepped bookshelves are represented externally.